Some of you may be interested in a new article of mine on how libraries can inspire reading among teenagers, particularly teenagers from disadvantaged backgrounds. It has just been published in IBBYLink, the journal of the UK branch of IBBY, the International Board on Books for Young People. The spur for the article was a session I ran on the subject as part of a seminar for the University of Missouri on public libraries for social justice. Teenage reading, and libraries’ role in encouraging it, are big passions of mine. I took the photo at a great Warhammer session at South Woodford Library in Redbridge. Crowds of young people regularly beat a path to the library on Friday nights. I was fascinated by the amount of reading I saw, as they checked up on intricate gaming rules, battle formations and characters. 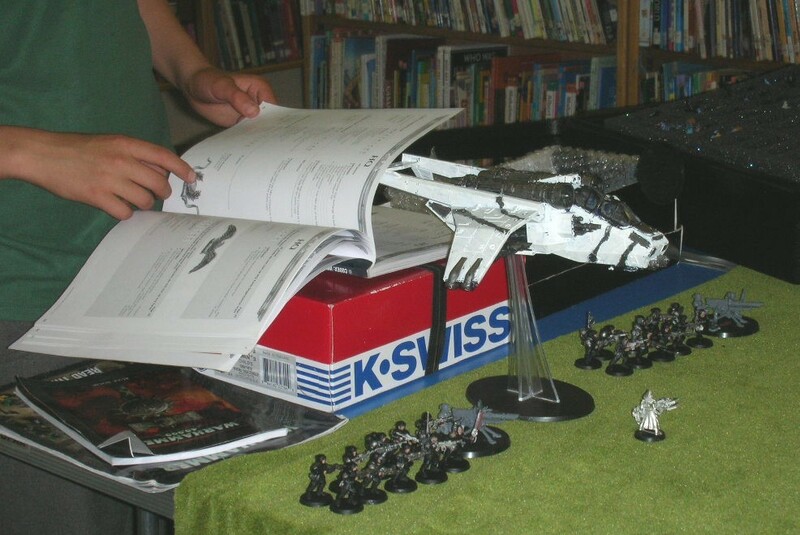 Several boys told me how Warhammer had made them into much keener readers as it has introduced them to fantasy and science fiction. Just one example of the impact libraries can have.